2 years ago SEBLOD 3.8.2 released, changelog updated. 2 years ago SEBLOD 3.8.1 released, changelog updated. 2 years ago SEBLOD 3.8.0 released, changelog updated. 3 years ago _jrmo published an article on the Blog. 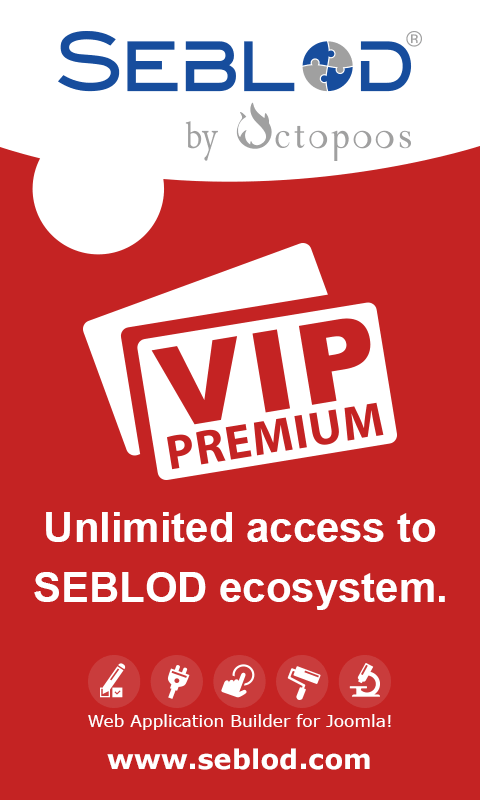 3 years ago SEBLOD 3.7.2 released, changelog updated. 3 years ago SEBLOD 3.7.1 released, changelog updated. 3 years ago Octopoos published an article on the Blog. 3 years ago SEBLOD 3.7 released, changelog updated. 3 years ago _jrmo added an event on the Calendar.